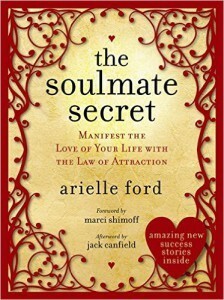 The Soulmate Secret, by Arielle Ford guides you in letting go of past hurts and manifesting love into your life today. Written in a way that is practical, inspiring and hopeful, The Soulmate Secret will guide you in finding your One. 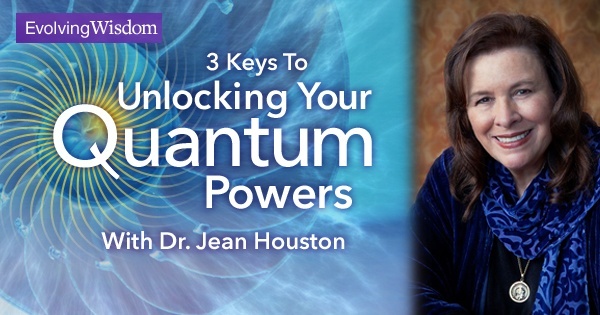 If you do not believe in the idea of a soulmate, or you think attracting the perfect person into your life is utter nonsense, then this book is for you! In The Soulmate Secret, Arielle Ford, the woman who helped launch the careers of Deepak Chopra, Neale Donald Walsch and Jack Canfield, shows you how to use the law of attraction to deliver your soulmate… to your front doorstep. Right off the bat this book asks that you accept full responsibility for being ‘unlucky’ in love thus far. 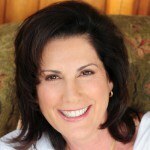 That you and your current state of mind is the barrier that is stopping your soulmate from showing up. There is a reason you keep attracting the wrong person. Find out why and then stop doing it. A most practical read, this book suggests a host of activities to get you into relationship shape, including feng shui tips! For example, this book teaches you to clear out the clutter. Then you might want to clear the energy of past loves from your home, using the Native American technique called smudging. Next you want to physically create space – for instance, making sure that the nightstand on ‘their’ side of the bed is completely empty. This sends a message to the Universe that you literally have space in your life for another. Throw away those sheets that are still around from a few relationships ago. Make a vision board of what you want your soulmate to be like. Many more. But the most interesting and important of all is the series of Feelingizations™ exercises. They are better known as visualizations, but the author has renamed them Feelingizations™, based on the principle that it is the feeling and not the image that holds the power to attract. Seeing the outcome you want doesn’t work without strong emotions behind them. If the act of visualizing your desire brings up more feelings of anxiety, and frustration of not having it than it does of joyful anticipation, then it will not happen. In order to manifest our desire we need to feel that what we have asked for is already ours. You can try out some Feelingizations™ for free at http://www.arielleford.com/feelingizations. Arguably, the most hopeful part of the book is the “love stories” of people who followed some of the steps recommended in the book and found their soulmate. We’ve got people meeting on planes, in gyms, in snowstorms… One man woke up one morning with a random phone number running through his head – and when he called it was a woman living 50 miles away. They met for coffee and have been together ever since. Amazon is one of the largest retailers in the world and therefore able to offer competitive pricing and even used books. The last time I checked, the Kindle edition is $9.99 (Amazon provides free Kindle reading apps), the paperback is $12.17 and the hardcover $23.99. Used books will be cheaper. This book is perfect for those who are ready for a loving yet passionate lasting relationship. It’s pretty much a step-by-step guide to finding your own happily ever after… The Soulmate Secret may just be the antidote to your soulmate-less life that you’ve been looking for. And that is all from me. Please feel free to share this post with your friends and family, and if you have any questions or comments just let me know in the comment box below and I will get back to you ASAP. See you around! Aww, a lovely post, it really inspires hope that “it” (love) is out there for all of us. You let us know just what the book really entails in a very much detailed piece of writing. I like the sound of this book. I have found my soulmate but I have two friends who need this book. Both of them have been trying to find love for years and been through many relationships but to no avail. One of my friends is in a relationship that is going nowhere and has been for 10 years! I have another friend who has been on many dates and even joined online dating but has not found that soulmate. I believe all they need is this book. It sounds really unique with the “feelingization” wording and all. I will let them know about this book. Does the book talk about how to keep a soulmate too or just simply how to find one? Yes, let your friends know about this book. Well, this book focuses on helping you find a soulmate, but if he or she is truly your soulmate I believe it would take something disastrous to tear you two apart! I enjoyed reading this article. I have to be honest, I’ve never really been a believer in the term soul-mate but it portrays a convincing analogy. I’m kinda tempted to buy this book but my wife might get suspicious as to my reasons. Very interesting about throwing out the clutter and making space for someone else. I’m sure readers will enjoy this. Hi Craig, thanks a lot for sharing your views :).